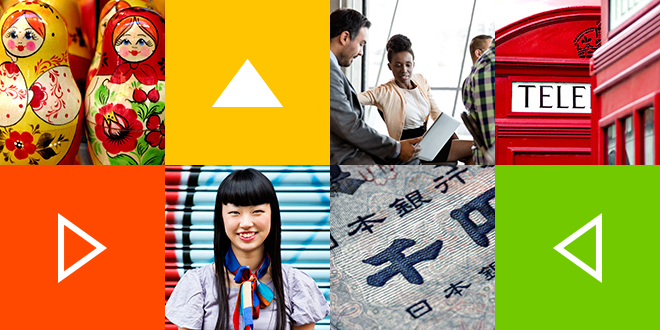 Payoneer is a quick and easy solution to receiving payments worldwide. 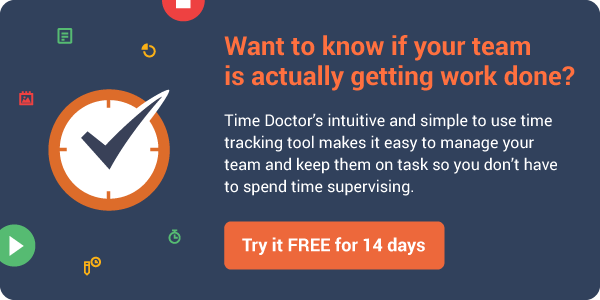 It’s a new and an alternative way of getting paid for performing services or freelance work. Payoneer also gives you an alternative way to pay people directly without ever going through a third party payment service just to get the payment sent from across the globe. 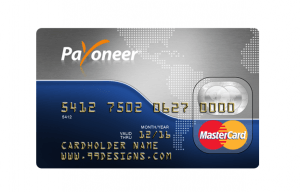 Payoneer users will get an ATM Debit card that has the Mastercard logo and they can withdraw the funds at any ATM machine that accepts Mastercard. Go to https://www.payoneer.com/ to begin the sign up process. Fill out the required details and attach a government issued ID such as a Passport, Driver’s license or a National ID. 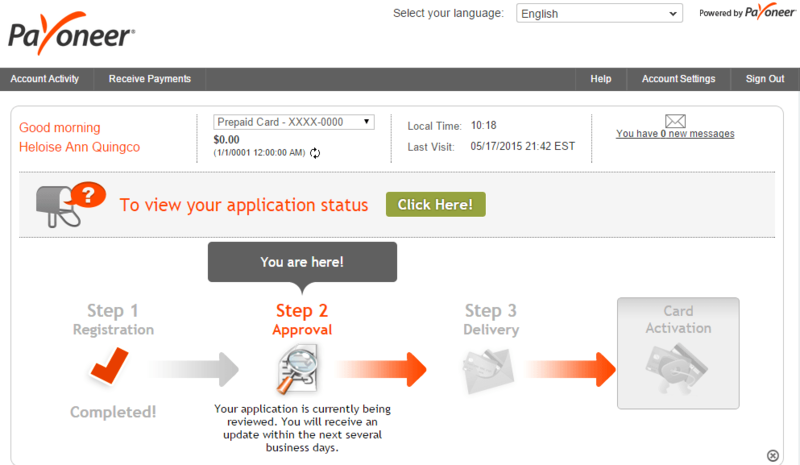 As soon as the application is approved, you’ll receive confirmation that your card will be delivered. The entire application process, from signing up online to receiving the card, generally only takes a few business days. Once you’ve received the card, activate it and start receiving payment from anywhere around the world! Users will receive a prepaid Mastercard in the mail a few business days after the application has been approved. This method doesn’t require you to have a bank account. Once your employer sends you your money, you’ll be able to withdraw the funds within 2 hours. Please see their Pricing and Fees page for more details. For this method, you’ll need to enter your bank account details and link it to your Payoneer account. Same as with the Mastercard method: funds will be available within 2 hours. Once this has been set up, you can now withdraw funds in your local currency with minimal cost / low fees. If you have over 5 workers that you send money to you can register for a company account here. This will give you access to an account where you can fund the account with one ACH and then easily send multiple transfers to your workers. 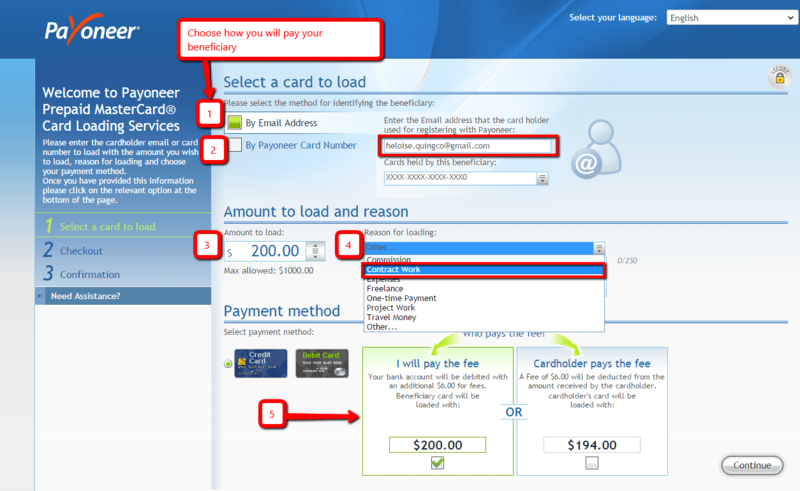 If you have less than 5 workers then you can attempt to load funds manually onto a Payoneer card (See the section below on “Loading a Payoneer card manually”). However this method will only work for sending money to a Payoneer card and will not work for sending money via local bank transfer to the recipient. Once you’ve successfully loaded the card, the funds will be available in 2 hours or less. Then your contractor will be able to withdraw the funds via the ATM Machine or use the card itself to make purchases. Do take note also that there is a limit as to how much you can load onto a card. Click here to know more about the sending limits. Since Payoneer has discount for give away 25$ for newers register. I trust that people will move to use Payoneer as payment method. I see so many company do that. And it's good payment option for me to receive money from company for my freelancer jobs. 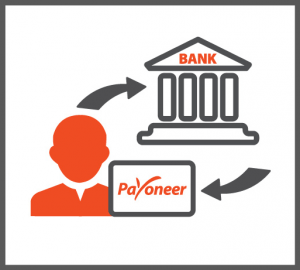 Payoneer is one of the best soure for receiving and sending money in Pakistan. do both parties payer and payee have to sign up to Payoneer? In order to get Payoneer, you must have local bank account. Must you have bank swift code for registration? can an equity bank account work? i am Indian , can i receive money from Nepal coustomers in India?